Do the same when the midpoint time is up for the yellow card and the maximum time is up for the red card. If you are a bit far away from the speaker, you may raise the colored card to attract the speaker's attention. This is similar to when a student in a class raises his hand to get the teacher's attention. This isn't too distracting for the audience, if you as Meeting Timer, is far back at the table or room. If, however, you're somewhere in the middle, you could subdue the motion to avoid unnecessary distractions for the audience. A good rule of thumb is this. If the speaker has made eye-contact with you as you gave the signal, then you're safe and may lay down or set the timing card to a holder. Now some speakers may need a lot more nudging if they don't stop speaking, even after the red timing card is raised and displayed. In such a situation, try waving the red timing card as shown below. You may do this if the speaker spoke for a minute or more beyond the maximum time allowed. Even the most stubborn speaker who speaks incessantly would definitely take notice. I've seen a few times when the speaker just didn't mind the Meeting Timer. I could tell she'll overshoot her time because at the green signal, she was just at the introduction and warming up! Typically, this happens with those speakers who love speaking impromptu, don't have an outline and seem to while away the time during the first few minutes. And, worse, they don't stop when the red signal is up! I've heard somewhere of a trick to to get a Toastmaster to stop speaking. And this is for the Meeting Timer to start clapping. 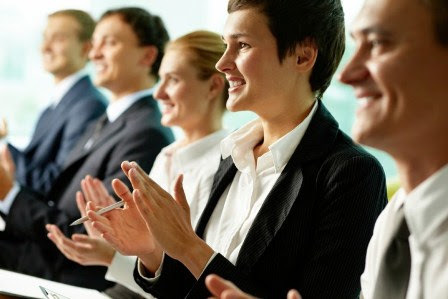 In theory, as is usually the case with Toastmasters meetings, others would join in the clapping since it is a cue that a speech has ended. Now this may sound rude, but it's almost guaranteed that the speaker would feel obligated to stop and and return to his seat - probably a bit embarrassed. I don't have problems doing this if I were the Meeting Timer and the speaker has gone way too much overboard. The plastic fans were bought for Php 10 each in Divisoria and are durable. Colors were added by gluing colored paper on both sides. There are no switches or wires to fumble with. There's no power needed and there are no batteries to replace later. Best of all is they don't "break down". You just pick up the right color to show and you're done. The timing fans don't have the bulk of the timing lights device. They're thin and would fit in any briefcase. However, they're not small either in that they could be slipped in between the pages of a book, manual or magazine where they may be overlooked and be misplaced. These are not small cards. These are fans that are a bit larger and "in-your-face" for those speakers who ignore or fail to to notice the signals. You can wave them too for emphasis. See here for a new version of an easy DIY Toastmasters Timing Lights device in my current club. It's easy to assemble from store-bought items.